Attorney Dan Newlin Announces Free Concert Featuring Pitbull To Honor Orlando Police Officer, Kevin Valencia. 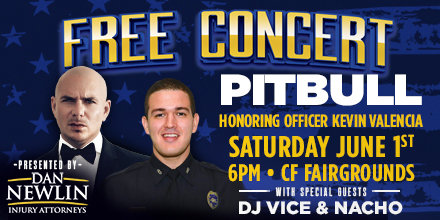 Attorney Dan Newlin has once again helped put together another great free community concert, starring Global Superstar Pitbull and Nacho but this time for a much greater cause, to honor Orlando Police Officer Kevin Valencia. 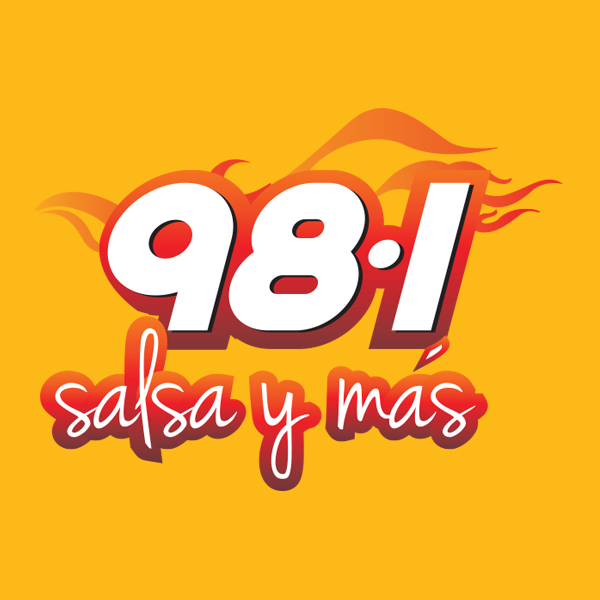 The free concert featuring Pitbull and Nacho will be on June 1st from 6 p.m. – 11 p.m. at the Central Florida Fairgrounds. “Don’t bring anything to the concert; just come show your support for the Valencia family,” says attorney Dan Newlin. On June 10th, Officer Kevin Valencia, age 27, reported for duty, like he had done the past three years. Officer Valencia was ready like always to respond and serve the citizens of our community in times of emergency. At approximately 11:30 pm Officer Valencia was dispatched to a domestic violence call in the City of Orlando, upon arrival, Gary Lindsey, a previously convicted felon, opened fire on Officer Valencia. Officer Valencia was struck in the frontal portion of his face; the bullet traveling through his eye into his brain. A 21-hour standoff with Lindsey ensued, during this time he killed four children hostages before he turned the gun on himself and ended the standoff. Officer Valencia was rushed to a local hospital, where he underwent intensive brain surgery. After receiving emergency care at Orlando Regional Medical Center, Officer Valencia was transferred to specialized care at Shepherd Hospital in Atlanta, where he underwent his 11th straight surgery. Unfortunately, Orlando Police Sergeant Eduardo Bernal said that Officer Valencia’s medical condition remains minimally changed.